This book is a quirky and fascinating collection of people who have changed history, performed amazing feats – or just been incredibly lucky. 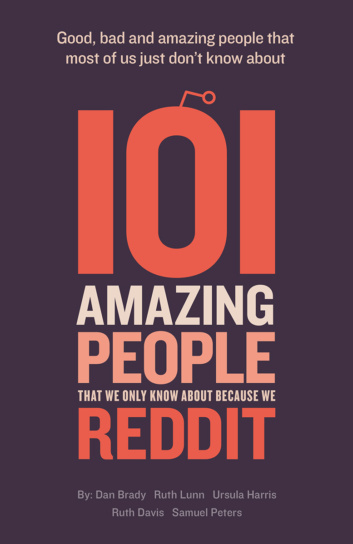 All stories were shared on the popular reddit.com online community. A trivia-filled book to dip into and share with friends and family. Inspired by true stories discovered on reddit.com of incredible people that most of us don’t know about. This book is a quirky and fascinating collection of people who have changed history, performed amazing feats – or just been incredibly lucky. Read about the jockey who came first in his race – but was dead; the man whose love literally moved mountains; and the pilot who shot down his own plane whilst flying it… and much, much more. From the sublime to the ridiculous, these stories will entertain, inspire and amaze. A trivia-filled book to dip into and share with friends and family. Paperback and hardback ship globally (from UK and US). Ebook formats include ePub and kindle.